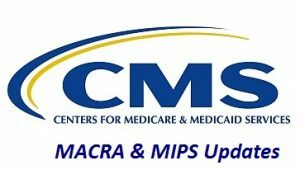 The Medicare Access and CHIP Reauthorization Act of 2015 (MACRA) replaced three quality programs (the Medicare Electronic Health Record (EHR) Incentive program, the Physician Quality Reporting System (PQRS), and the Value-Based Payment Modifier (VM) with the Quality Payment Program. This one program will give Medicare physicians and clinicians a chance to be paid more for giving better care. Under MIPS, there are four connected pillars that affect how you will be paid by Medicare – Quality, Clinical Practice Improvement Activities (referred to as “Improvement Activities”), Certified EHR Technology (referred to as “Advancing Care Information”), and Resource Use (referred to as “Cost”). At its core, the Quality Payment Program is about improving the quality of patient care. eligible professionals, also known as Meaningful Use. How the Advancing Care Information performance category score is calculated? For scoring purposes, in the Advancing Care Information performance category (weighted at 25% of the total score), MIPS eligible clinicians may earn a maximum score of up to 155%, but any score above 100% will be capped at 100%. This structure was deliberately created to ensure that clinicians have the flexibility to focus on measures that are the most relevant to them and their practices. MIPS eligible clinicians need to fulfill the requirements of all the base score measures in order to receive the 50% base score. If these requirements are not met, they will get a 0 in the overall Advancing Care Information performance category score. In order to receive the 50% base score, MIPS eligible clinicians must submit a “YES” for the security risk analysis measure, and at least a 1 in the numerator for the numerator/denominator of the remaining measures. 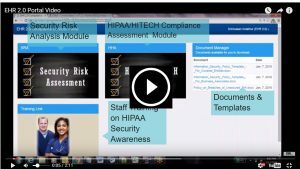 Industry certified professionals EHR2.0 can help you meet this requirement. In 2018, MIPS eligible clinicians can report the Advancing Care Information Transition Measures if they have technology certified to the 2014 Edition or technology certified to the 2015 Edition, or a combination of technologies certified to the 2014 and 2015 Editions. category. MIPS eligible clinicians must submit a “yes” for the security risk analysis measure to receive credit toward the base score. Submitting a “no” for this measure will result in a base score of 0%. More information about Advancing Care Information scoring is available on the QPP website. • MIPS eligible clinicians must conduct or review a security risk analysis including addressing encryption/security of data created or maintained by CEHRT, and implement updates as necessary at least once each calendar year and attest to conducting the analysis or review. 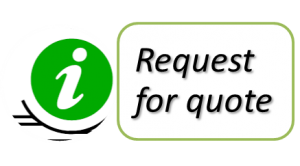 • An analysis must be done upon installation or upgrade to a new system and a review must be conducted covering each MIPS performance period. Any security updates and deficiencies that are identified should be included in the clinician’s risk management process and implemented or corrected as dictated by that process. • It is acceptable for the security risk analysis to be conducted outside the MIPS performance period; however, the analysis must be unique for each MIPS performance period, the scope must include the full MIPS performance period, and must be conducted within the calendar year of the MIPS performance period (January 1st – December 31st).